As usual I have read quite a few books this year. The Chrysalids by John Wyndham – love this author (The Day of the Triffids and The Midwich Cuckoos are two of my all time favourite sci fi books) and this book, while taking a while to get going, ended up un-put down able. A great exploration of unfounded intolerance, and relevant today as when it was written. 13 Reasons Why by Jay Asher – which I wrote about before, is a tour de force in modern teen fiction. Better than SE Hinton – and my teenage self is properly upset I have written that statement. Highly recommended. Archangel by Robert Harris – any novel which can make me interested in post WW2 Russian history must be doing something right. This is a real page turner from the opening right up to its fabulous, if ambiguous, conclusion. Some of Harris other works I have found slow, or the world building more attention grabbing than the plot (Fatherland), but this has it all going on. House of Suns by Alastair Reynolds – in a future where faster than light travel is impossible a house of long living clones travel the galaxy in cycles, spending vast aeons of time in suspended animation, holding reunions every few millennia. The scope of this novel is breathtaking and while it feels like it wanders off from the plot towards the end, maybe the real point of the novel is how even hideous events lose their horror after 17,000 years or so. Up for debate, which only adds to the positive feelings I have towards the book – still deciphering meaning long after reading is always a good sign about a book. Please feel free to share your views on these books in the comments and also any novels you read this year, either ones published this year or otherwise. Meccano, the French toy manufacturer, has announced an open source, build your own robot project. Details here. As far as I can tell from the website, it isn’t yet available to buy. I havent had a play with a real one, but I am excited. A robot you can build and adapt, using open source software (which i guess reflects the nature of Meccano, which is a bunch of pieces which can be assembled and re-assembled in any way you can imagine – similar to Lego for the unfamiliar), is a big deal in my world. There are two versions of the robot, I link above to the larger one of the two. The massive social change around a robot in every home is coming and while the Honda Asimo is the early runner, there are so many players in this arena it is certainly unclear who will end up being the Microsoft, Google, Amazon or Apple of this brave new world. The first chapter of The Joy of Ex is below as a free PDF to have a sample of what the novel is about. The book is available from Amazon in Kindle and paperback. The Joy of Ex – have you read it? 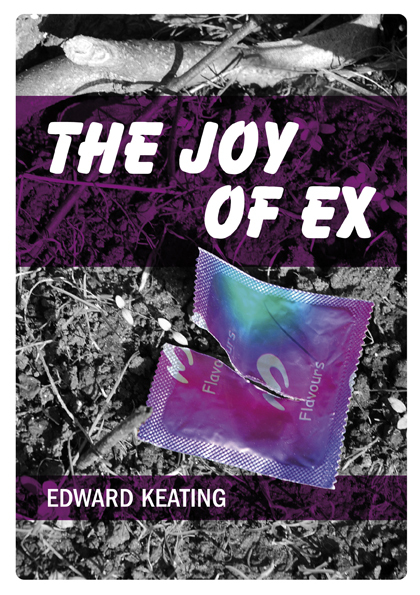 My first published book The Joy of Ex is available from Amazon here. Comments Off on The Joy of Ex – have you read it?